If you're filthy rich, fashion sure is for the taking! 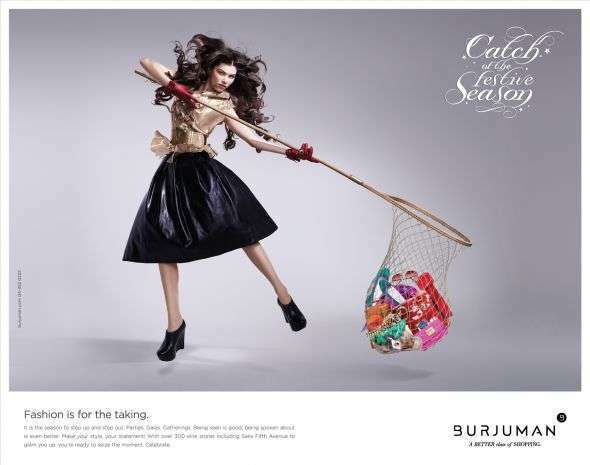 These Burjuman Luxury Shopping Mall ads confirm the ease at which one can acquire splendid style -- though they definitely communicate more clearly with an extremely wealthy class. Nevertheless, parts of these promotional prints do ring true universally: one can always make her style her own statement. Created by Tonnit Design Dubai, these Burjuman Luxury Shopping Mall ads remind fashionistas that perusing through the selection that this center has to offer is like fishing in a crowded pond.